The Canadian Plastics Industry Association (CPIA) released a new report on December 17, revealing an additional 24% of plastic packaging and products was recycled in 2011 compared to 2010 as done by Moore Recycling Associates Inc. In total, over 268.5 million kg of post-consumer plastic was collected for recycling in Canada. The plastic packaging collected for recycling comes from a variety of everyday consumer goods such as plastic bottles, non-bottle rigid plastics (such as deli and dairy containers, bakery, vegetable, fruit containers), plastic film, bags and outer wrap and foam polystyrene. “This everyday packaging serves an essential purpose by preserving product integrity and once completed the packaging is an excellent resource for new consumer goods,” says Cathy Cirko, Vice President of CPIA. Plastics packaging can have a continued life as a fleece jacket, new plastic bottles, pipes, pallets, crates, decking, picture frames and other lawn and garden products. Compared to 2010, the Post-Consumer Recycled (PCR) plastic quantities reported for 2011 by Moore Recycling Associates Inc. represent an increase of 19% for bottles (29.3 million kg), an amazing increase of 70% for non-bottle rigids (21 million kg) and a modest increase of 1% for plastic bags and outer wrap (272 thousand kg). The survey asked for specific information on the recycling of foam polystyrene (752 thousand kg), derived predominantly from cushion packaging for durable products and some foam food packaging e.g. for meat trays, clamshells, coffee cups. The expanded use of densification equipment to compress the foam has now enabled efficient transport to meet the growing recycled foam market demand in Canada, U.S. and overseas, making it worthwhile to track recycling progress. The foam packaging is recycled into fire protection products, crown moldings and decorative frames for mirrors, pictures and wall hangings. “We are pleased that two thirds of Canadian sourced recycled plastic was recycled in Canada. Our recycling industry remains strong and capable of diverting more plastics from Canadian landfills.” says Carol Hochu, President and CEO of CPIA. The non-bottle rigid plastic stream saw a substantial increase of 70% in 2011 due in part to more municipalities expanding collection to all plastic containers, beyond just bottles. “Simplifying collection practices for the public to recycle all plastic containers is helping grow plastic recycling. CPIA is committed to work with governments, industry and others to encourage more consumer participation in these types of recycling programs,” adds Ms Cirko. CPIA recognizes there is more to do as Canadian plastic recyclers want more supply. There is underutilized capacity creating ample opportunity for consumers and businesses to supply our recyclers with more plastics. For instance, it is estimated that the film and bag recycling capacity in Canada to be at 38% utilization of the capacity. 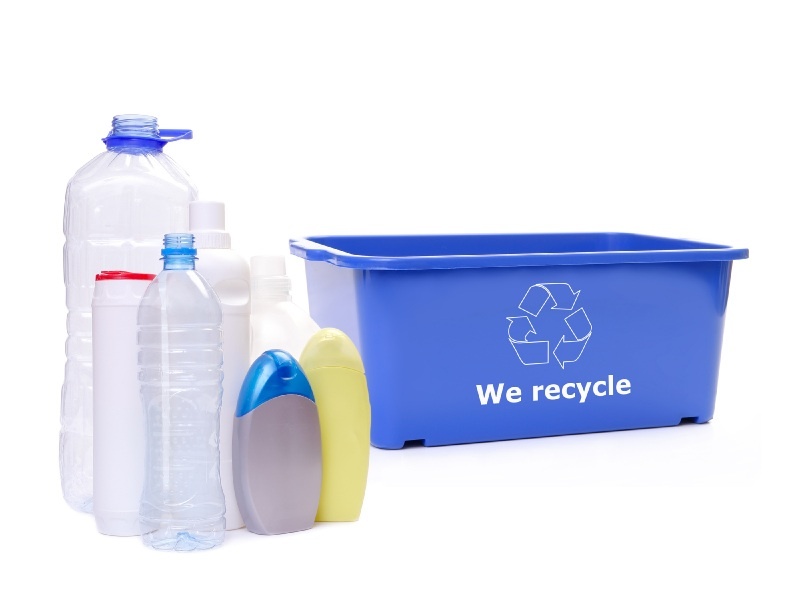 There is also growth in demand for good quality non-bottle rigid plastic, including PET thermoforms and PE and PP containers and bulky rigid items, as recycled bottle supplies continue to be tight.